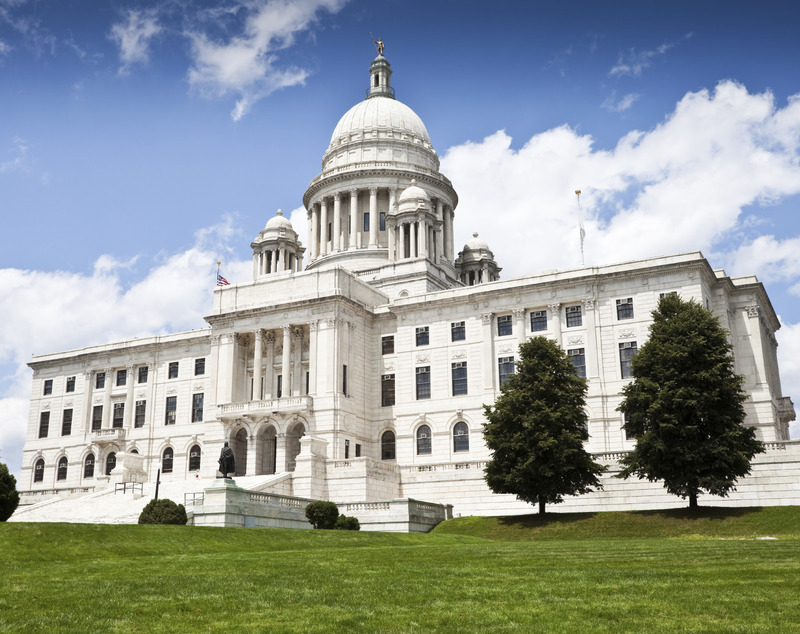 Rhode Island Rep. Jan Malik (D-Barrington) has introduced legislation to completely eliminate the state’s sales tax, which is 7 percent in retail stores and 8 percent in restaurants. Malik initially introduced the bill, “Sales Tax Repeal Act of 2013” or 2013-H-5365, to the House earlier this year. The bill was introduced into the Rhode Island House of Representatives by Malik, Rep. Brian C. Newberry (R-Dist. 48, North Smithfield and Burriville), Rep. Joseph M. McNamara (D-Dist. 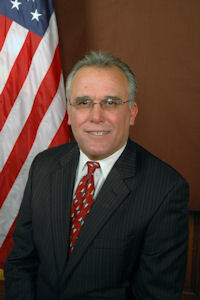 19, Warwick and Cranston), Rep. Samuel A. Azzinaro (D-Dist. 37, Westerly) and Rep. Arthur J. Corvese (D-Dist. 53, North Providence); 28 other representatives also support the new legislation. The legislation was heard by the House Finance Committee on June 4, where they recommended the idea be studied by a summer committee, to be made of Malik, three senators, three state representatives, a representative from the Governor’s office, a representative from the Division of Taxation, local business owners, and members of the hospitality industry. Malik’s idea has been publicly backed by three non-profit, anti-tax advocacy groups: the lobbying organization Americans for Tax Reform and its president, Grover Norquist; state-based “think-tank” Rhode Island Center for Freedom and Prosperity; and the similarly-missioned group, The Rhode Island Taxpayers. Opponents say eliminating sales tax will cost the state $900 million—a quarter of the state’s budget. They argue that there is no clear plan on how to make that money up. Many say that $900 million could only be made up with cuts to government services. Proponents argue that the $900 million will be made up by the jobs created, small businesses built and boost to the state’s overall economy by attracting more consumers. Malik acknowledges that the issue needs studying. “All we have are numbers from the Freedom of Prosperity group right now, so we need some accurate numbers before we pull the pin,” he said. He’s referring to the numbers provided to lawmakers in May by Mike Stenhouse, CEO of the no-tax advocacy group The Rhode Island Center for Freedom & Prosperity. Stenhouse said the repeal of the sales tax would generate 20,000 to 25,000 new jobs, which over time, would more than make up for most, if not all, of the potential $900 million loss in state revenue. Malik said it’s possible that lawmakers may agree to “meet in the middle and decide on three percent sales tax, but I think zero would be better. Zero is a great number. Can you imagine signs on the road, when you’re driving into Rhode Island, reading: ‘No Sales Tax’? But, it’s a matter of can we afford it,” he said. Matthew Amaral, owner of Grapes and Grains in Barrington, R.I., said when he heard about Malik’s proposal, “I quickly jumped on board. I’m happy to have a small business in Rhode Island, but I need tools and support from the state to help me grow. It took me three years to change the law in Barrington— they were historically a dry town— and I was the driving force behind that motion. I think it will take some time to change things in the state, but it’s an important topic for them to consider,” Amaral said. Amaral said it’s hard to gauge if he’s losing business because he’s only been in business one year, “but even BJ’s (Wholesale Club) on Route 6 (in Massachusetts) sells wine. So no tax, or even lower tax, would give people a reason to support local and small business” in Rhode Island. At Central Warehouse Liquors in Central Falls, owner Vincent Bilotti agreed saying, “I’m all for eliminating sales tax. Absolutely. I lose thousands of dollars [to Massachusetts]. It’s a really, really, really big problem. The state has got to smarten up. We’re close to the Massachusetts border, so people from Rhode Island cross the border to buy. There’s not much of a difference in beer, but on a $30 bottle, we’re at a $2.75 disadvantage,” he said. Malik mentioned other bills that could affect Rhode Island liquor store owners down the road, including a bill to eliminate tax on wine, a bill to lower the sales tax from 7 to 3 percent, and a bill proposed by Rhode Island State Rep. John M. Carnevale that would allow for five annual tax holidays at off-site locations such as package stores. The five periods of tax holiday include: Memorial Day (the Tuesday before through the Tuesday after); Fourth of July (June 23 through July 3); Labor Day (Tuesday before through the Tuesday after); Thanksgiving (nine days before Thanksgiving through the Friday) Winter Holidays (Dec. 11 through Dec. 31.) As of April 24, Bill H5310 was being held for further study.